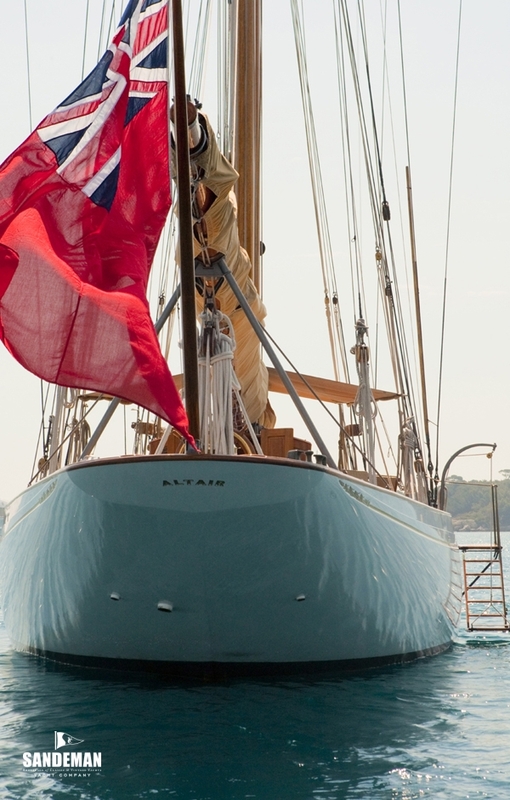 Named after one of the brightest of stars ALTAIR’s near mythical status in the classic yacht world is all for very good reason - this yacht has become the standard bearer for the cause of authenticity since her landmark restoration in 1987. William Fife III may have saved his best until last. 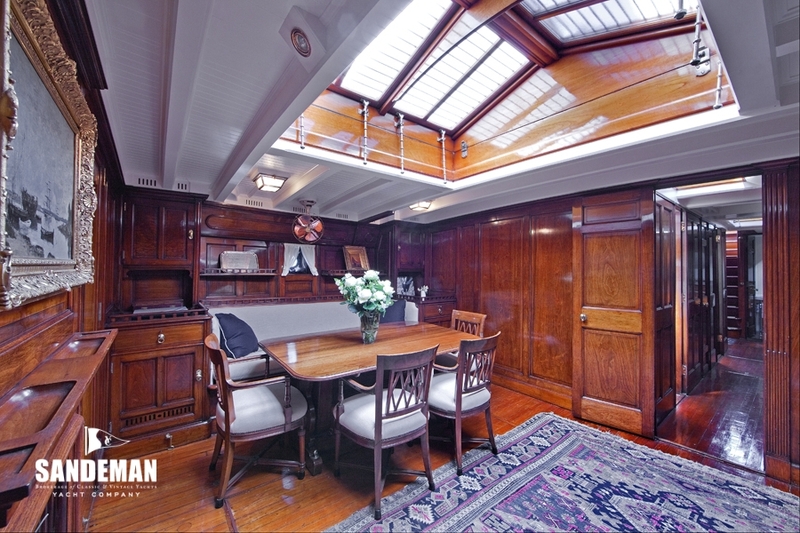 Commissioned as an ocean going cruising boat for the southern seas and her designer’s last big boat, Fife could not help but create a blend of breathtaking beauty; fast safe and totally capable. 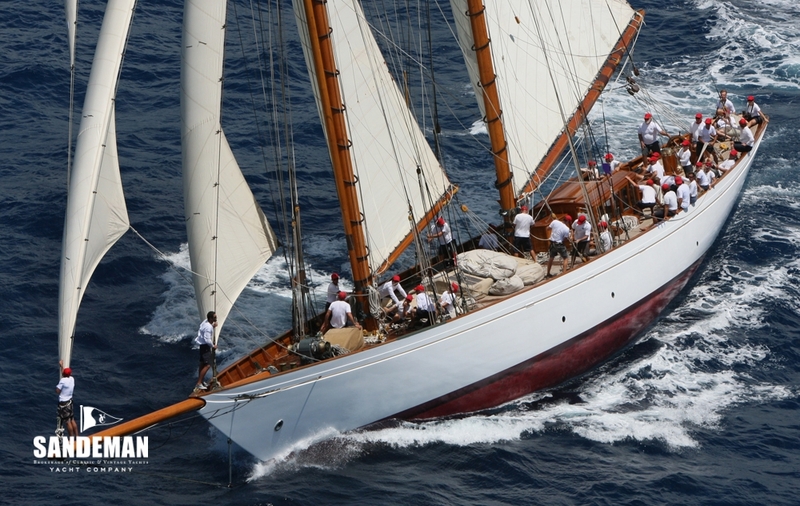 Always the darling of the classic regatta fleet and often winning her class; ALTAIR is the ultimate vintage yacht. 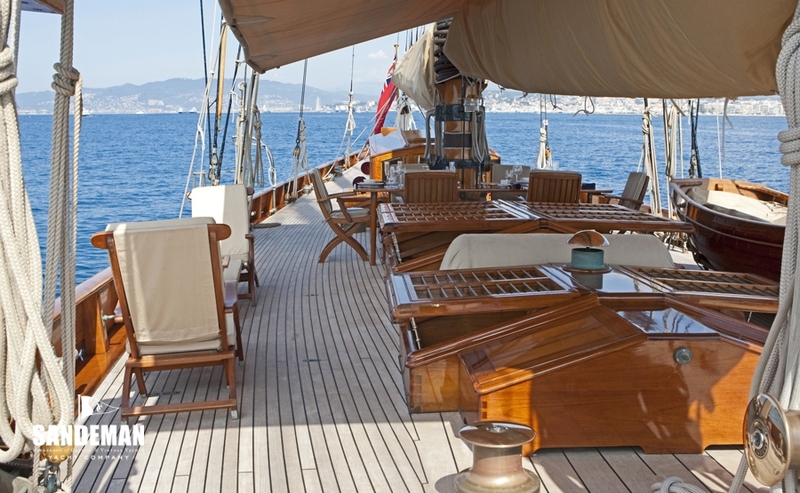 While important as the yacht to have started what has become the classic yacht revival, that role is as nothing to her own status at the top of this hierarchy. 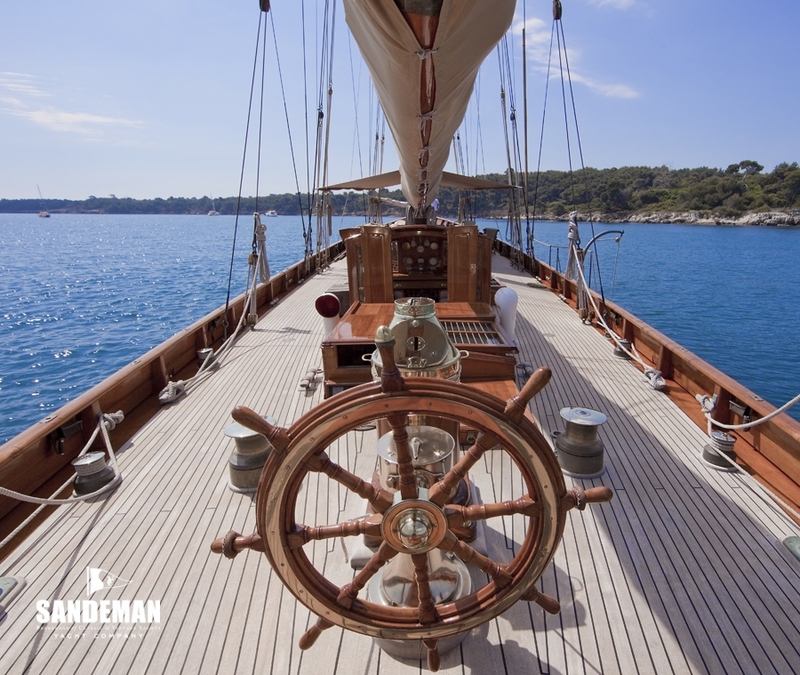 Over the years there are vintage yachts, having languished in varying states of disregard and neglect, that have been “recovered” and given a variety of treatments to bring them back to some kind of life. 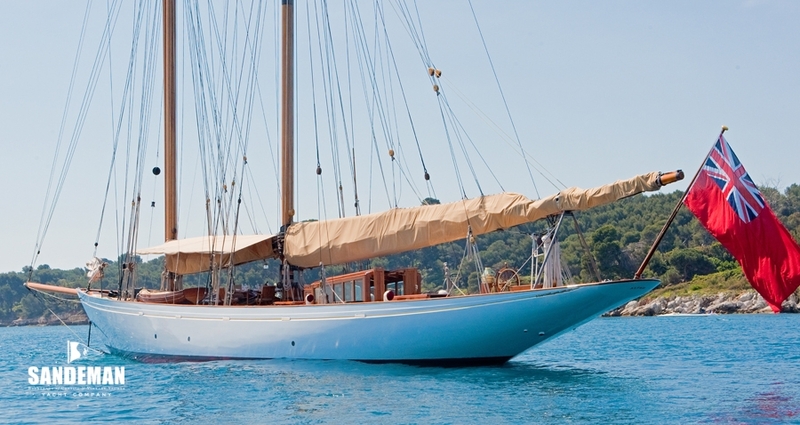 ALTAIR meanwhile enjoying a careful 30 year ownership during the 1960s, 70s and 80s was very much still alive, before becoming one of the first such yachts actually to be restored. 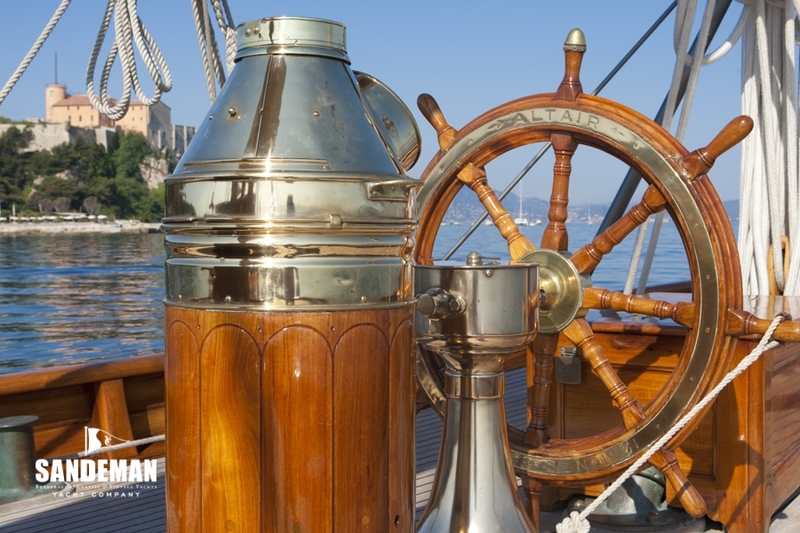 In this respect ALTAIR absolutely complies with the definition. 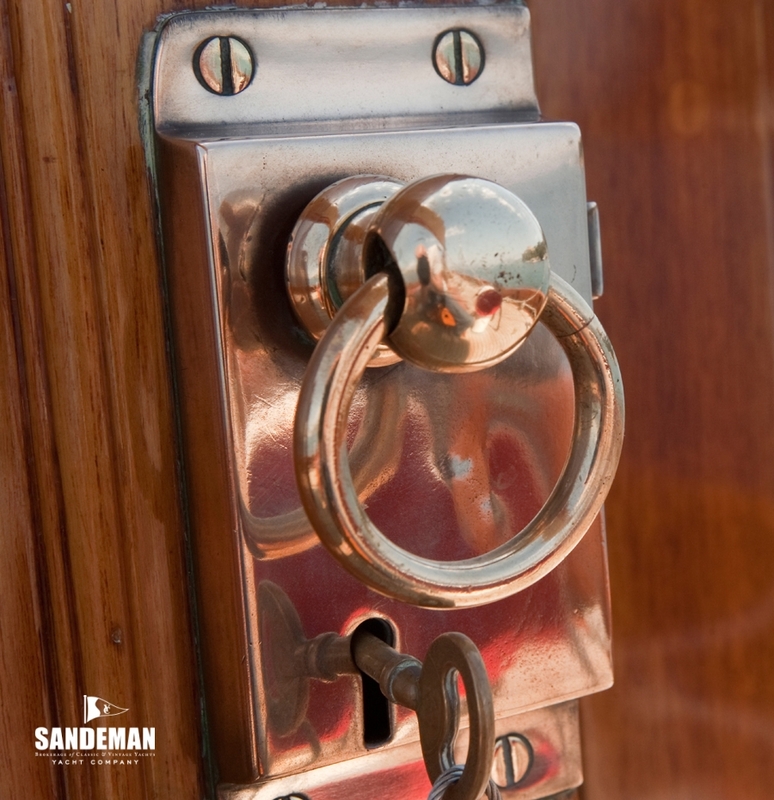 The restoration team could not have been better provided for - with the important, nay unique quality that she is not a pastiche or interpretation of what an owner or boat yard might have decided she could have been like….…She was all there and is therefore the same boat from door handle to light fitting; from internal layout to sail plan. 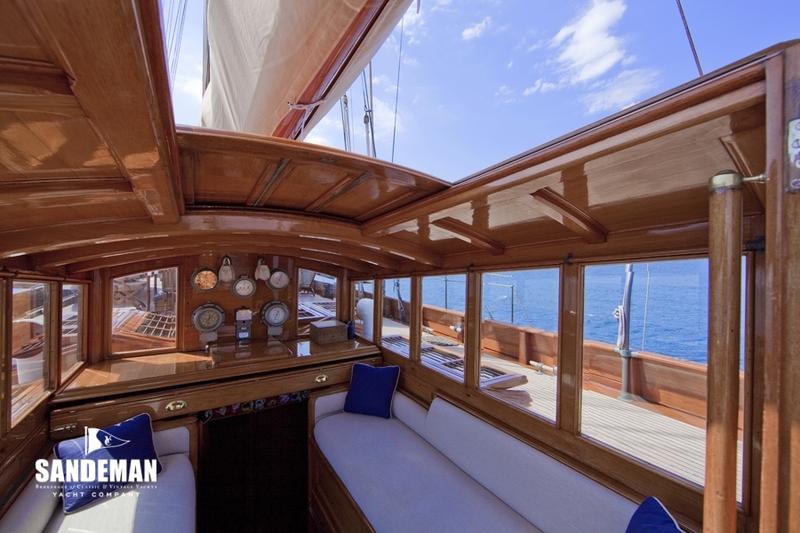 Her dimensions have allowed for the modern comforts that a smaller classic will not; all discreetly concealed and allowing her to cruise anywhere. 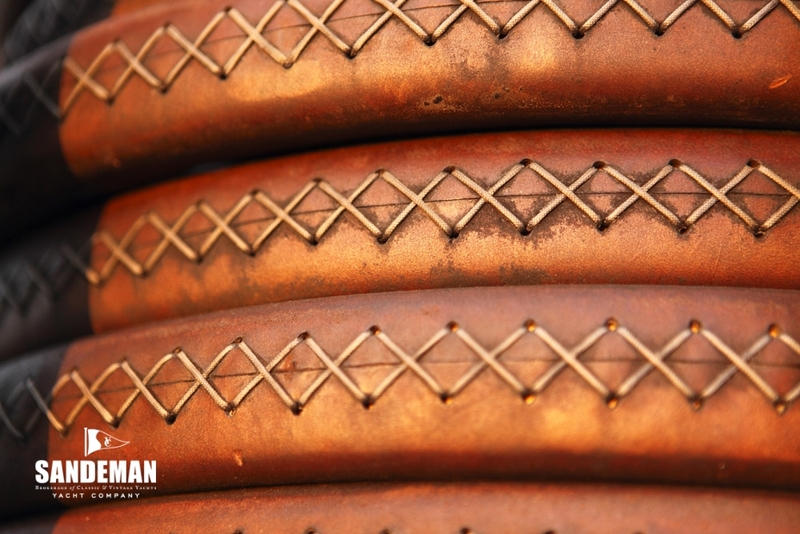 Above all she is blessed with the spirit engendered by her original designer the incomparable William Fife III. 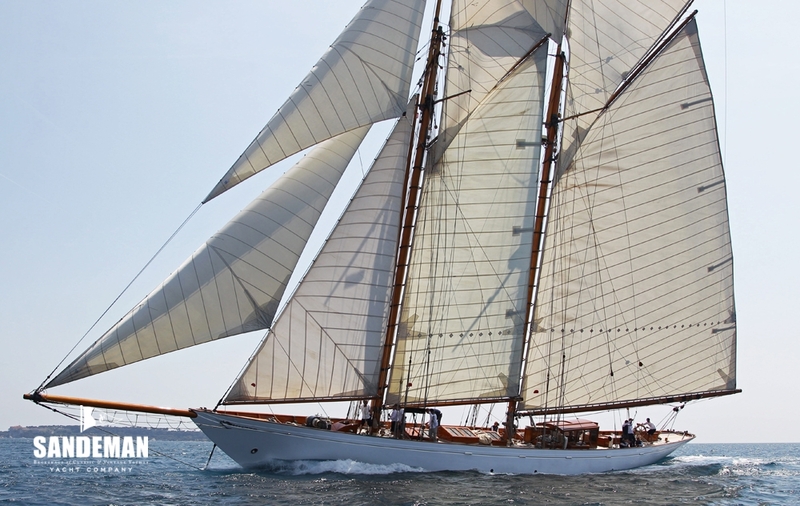 As one of the very few classic yachts of her vintage afloat with an unbroken Lloyds 100 A1 classification – having passed again lately in 2012with flying colours, ALTAIR is in her element - as ready to cruise the World as she is for racing. 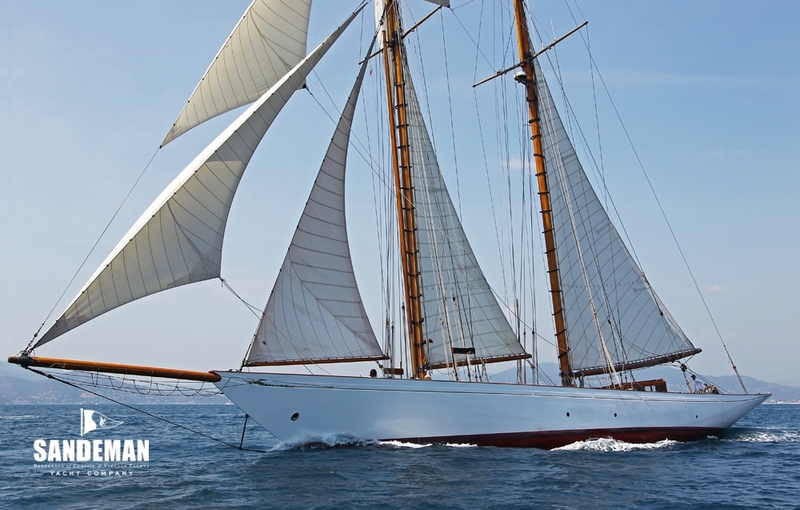 ALTAIR built by William Fife & Sons at Fairlie as yard number 789, was launched in May 1931. 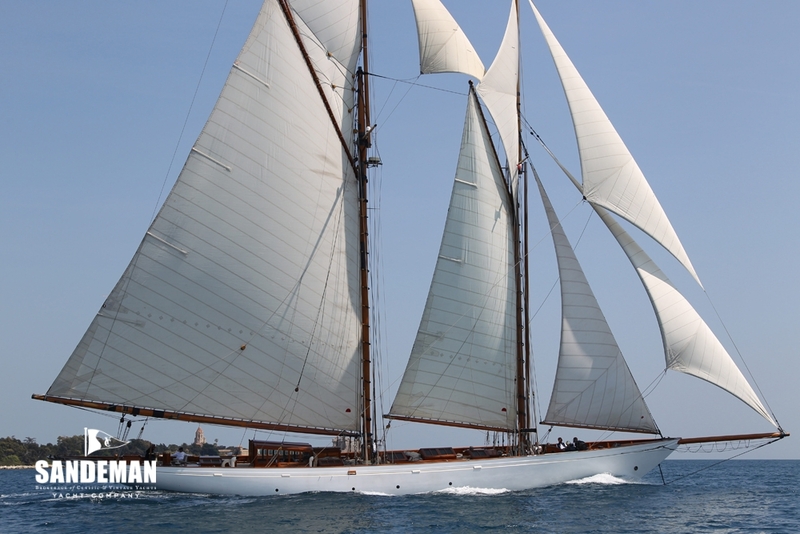 She was effectively a descendent of the famous fleet of big yachts that had revitalized schooner racing around the turn of the 19th century - William Fife’s own CICELY and SUZANNE having been notable members of that fleet. 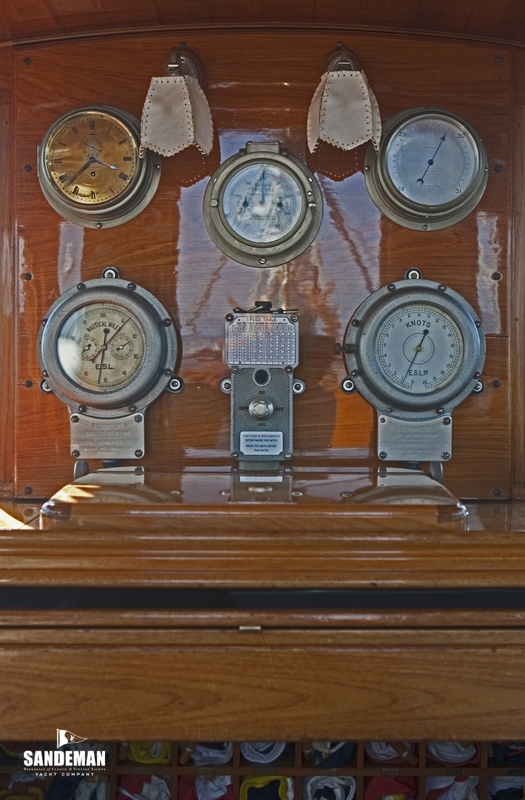 More specifically, ALTAIR’s origins lie in her first owner Captain H. MacCaw’ desire for “a sound, safe cruiser; safe to go to the South Sea Islands with no difficulty’ thus expressed in his brief to William Fife in 1929. 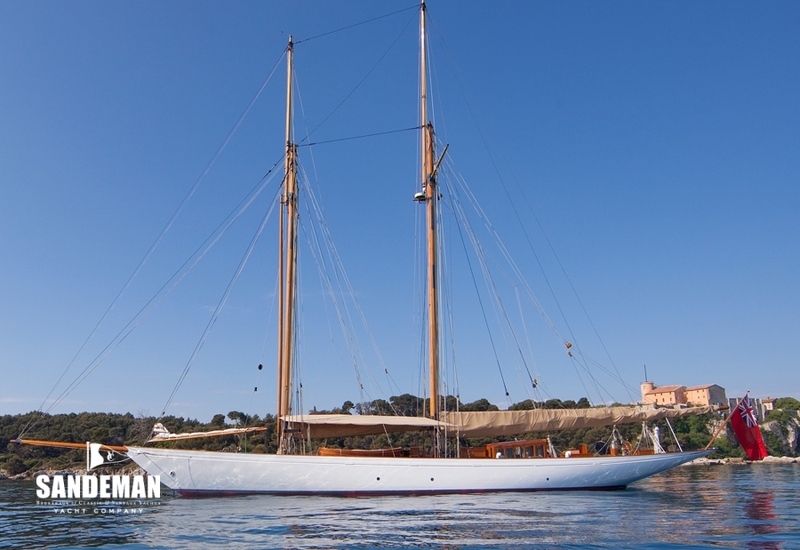 In the event the elderly MacCaw never undertook the world voyage he had planned, and after two years of ownership, sold her to Walter Runciman (later Viscount Runciman) Liberal MP for St. Ives. 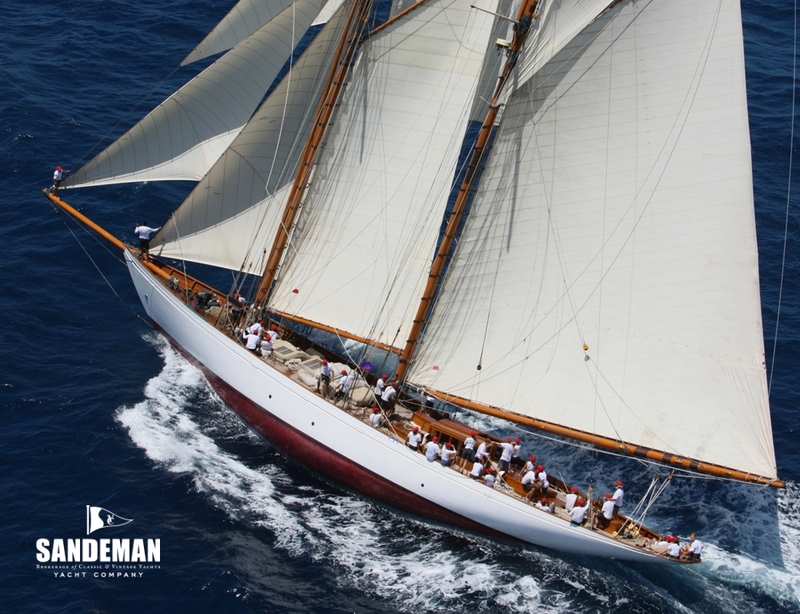 Having sailed her on the south coast of England and west coast of Scotland, he in turn sold her in 1938 to Sir William Verdon-Smith who enjoyed her for two seasons until she was bought by the Admiralty to play her part in the war effort. 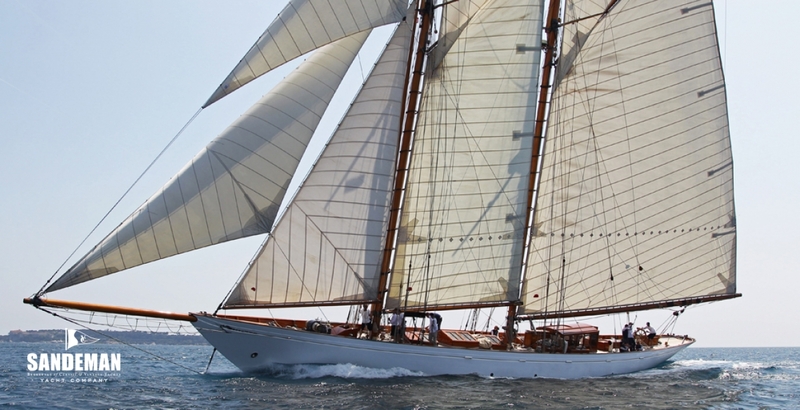 Post war, ALTAIR was extensively refitted and was to leave British waters under Portuguese ownership passing then to Miguel Sans Mora to be based in Barcelona until acquired by her next owners in 1985. 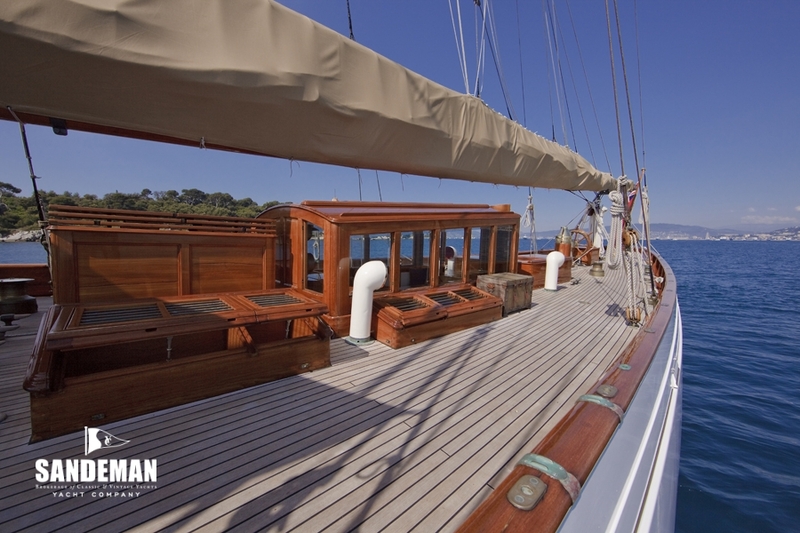 It is largely thanks to Sans Mora’s great love for ALTAIR that during his 34 years of ownership, she was maintained in the tradition of her original build through that difficult period of “old but not yet classic”. 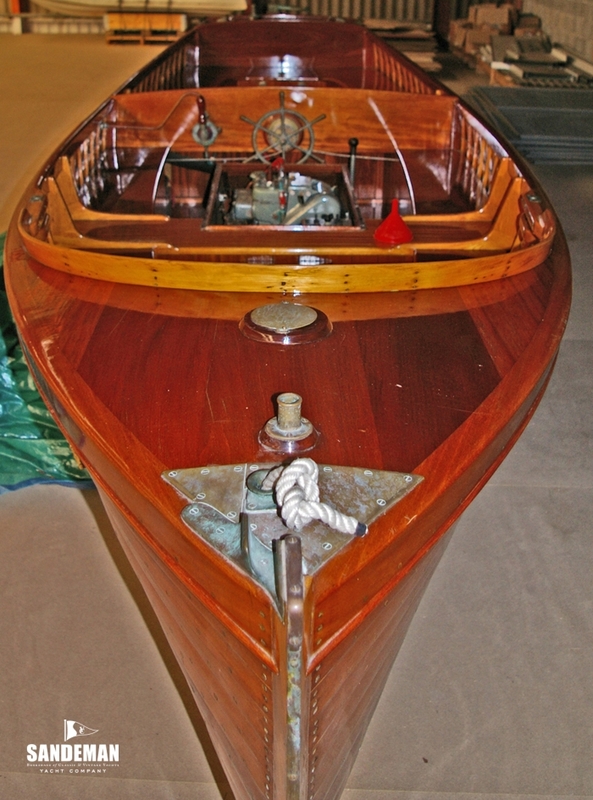 It was new owner Albert Obrist who, with project manager Paul Goss and Duncan Walker committed ALTAIR with almost obsessive attention to detail to the now famous restoration at Southampton Yacht Services on her owner’s insistence on absolute faithfulness to the original design – some of this dedicated and hand picked team would in due course go on to create Fairlie Restorations. 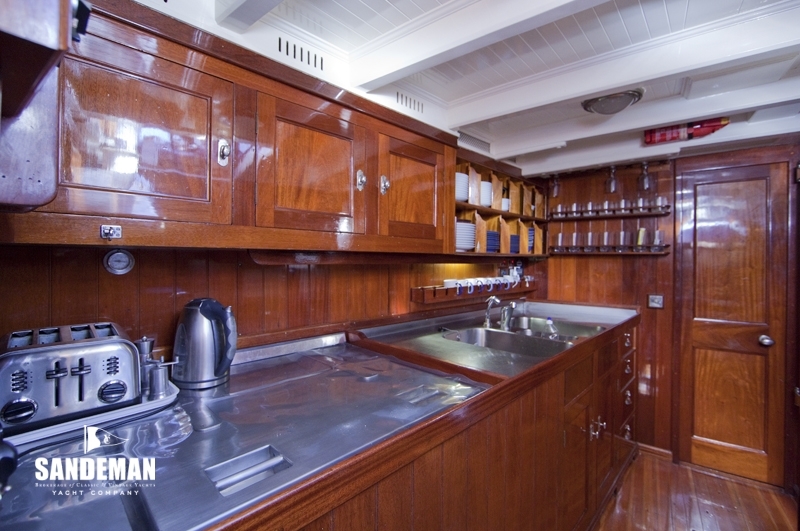 With extensive shipwrighting work complete, her walnut interior was refinished and all fittings including her original heads were restored to working order. 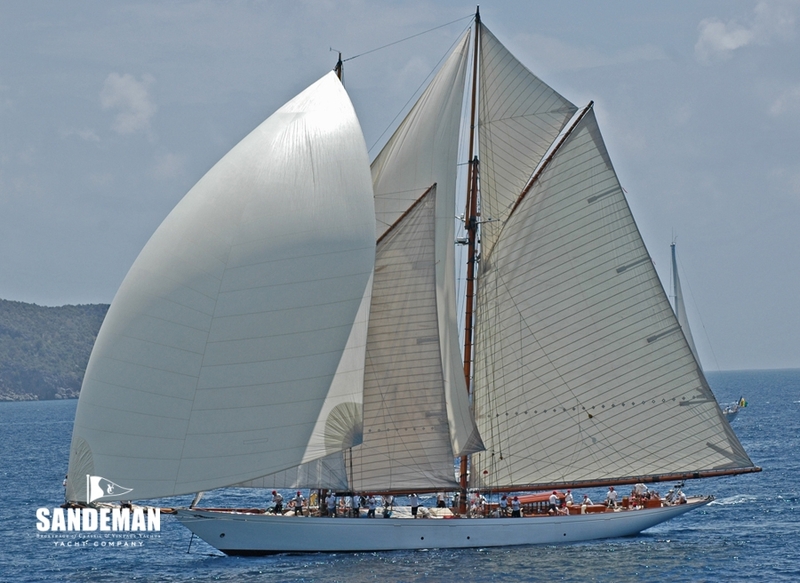 Her rig which had been slightly shortened was restored to the full length by scarphing into the original spars. 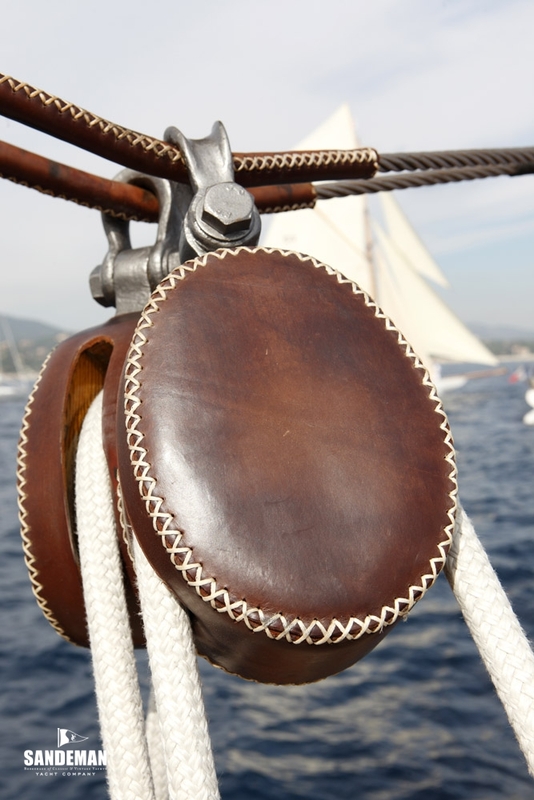 The dyed cream Dacron was developed by sail makers Ratsey & Lapthorn to resemble Egyptian cotton reflecting Obrist’s desire even for the sails to appear original. 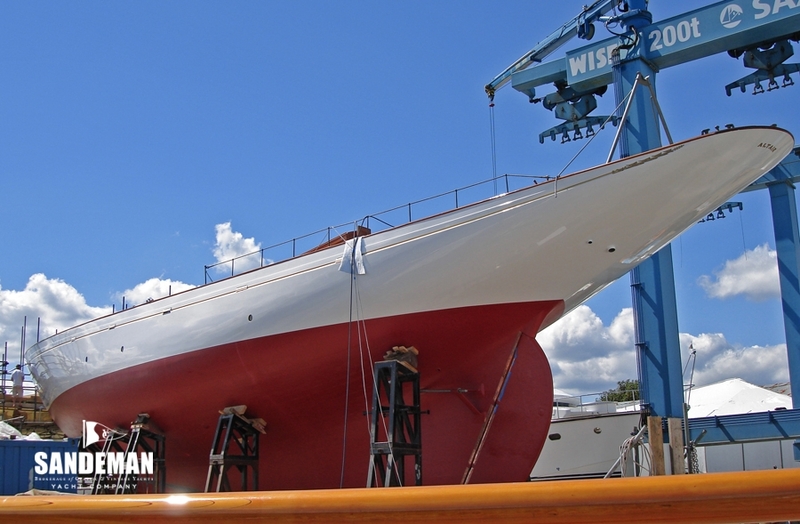 This was soon copied by other classic yachts. 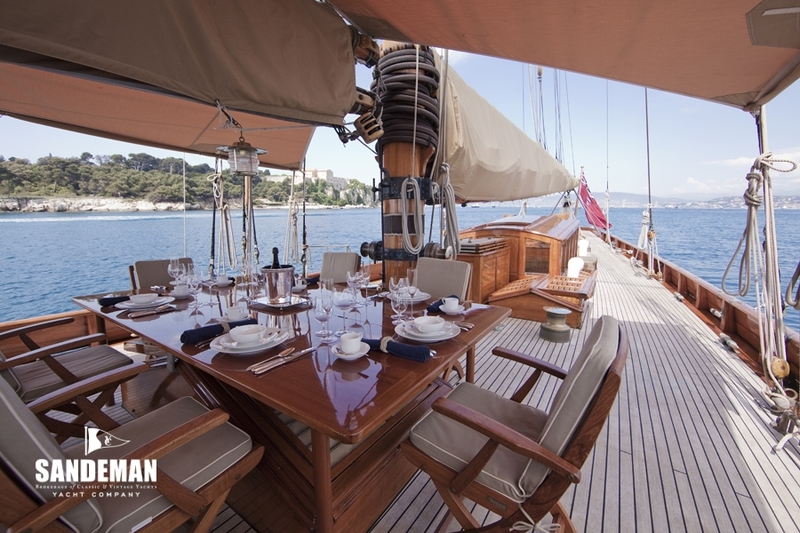 ALTAIR then acquired by a well known Spanish family, was sold again in 2005 to her current American owner, who has cherished the yacht, doing everything to maintain her exactly as she should be; enjoying Mediterranean and Caribbean seasons with countless regatta successes. 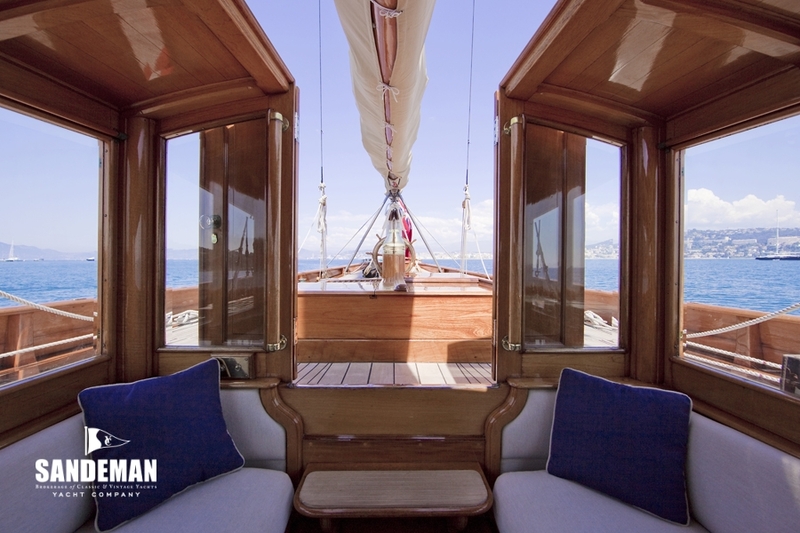 With its original French polished walnut accommodation, the interior of ALTAIR is considered one of the most beautiful and authentic interiors in any yacht. 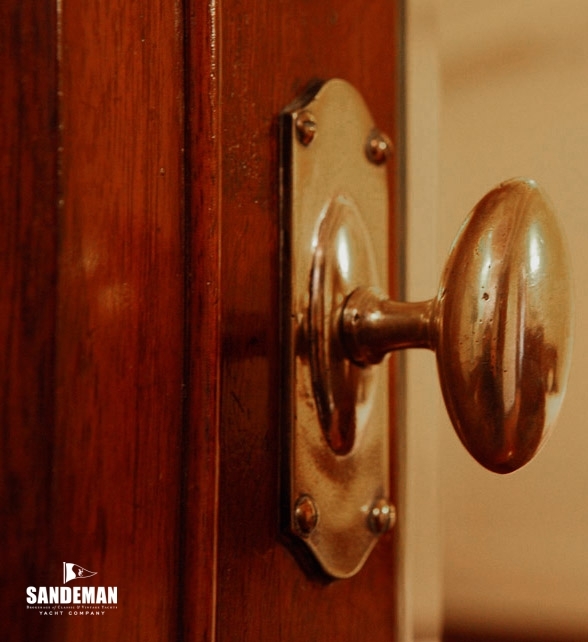 The panelling, door furniture and bathroom fittings are all from 1931. 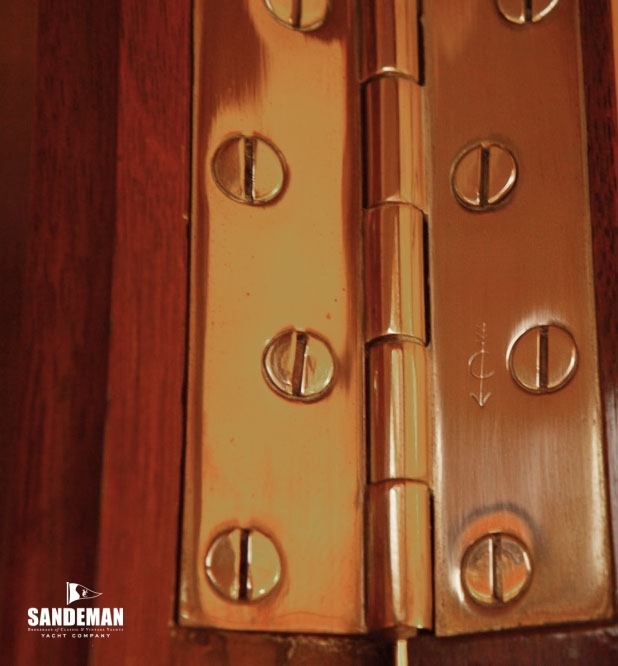 In 2007 all nickel and chrome interior fittings were removed and re-plated with her interior freshly French polished and hand painted. 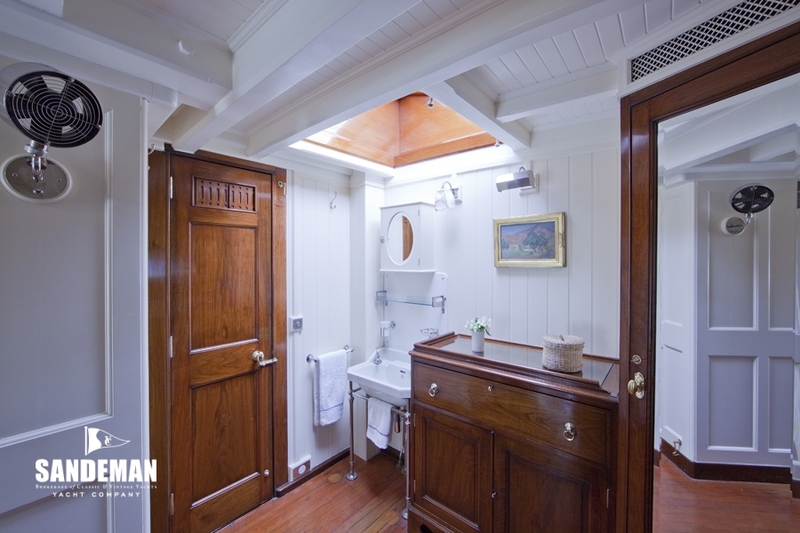 In summary the accommodation below has an owner’s suite, guest VIP suite; small double cabin, two guest single cabins, skipper’s cabin and crew quarters for 8. 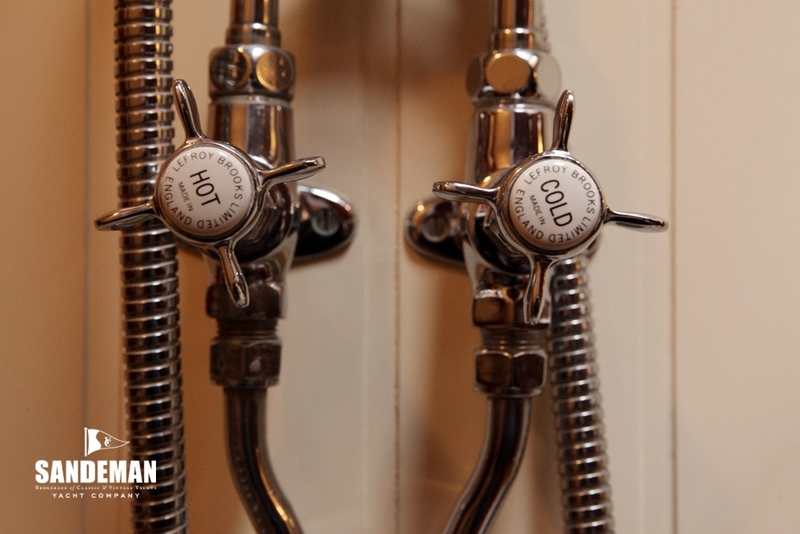 There are two head compartments, a separate shower, a day head and head with bath and shower. 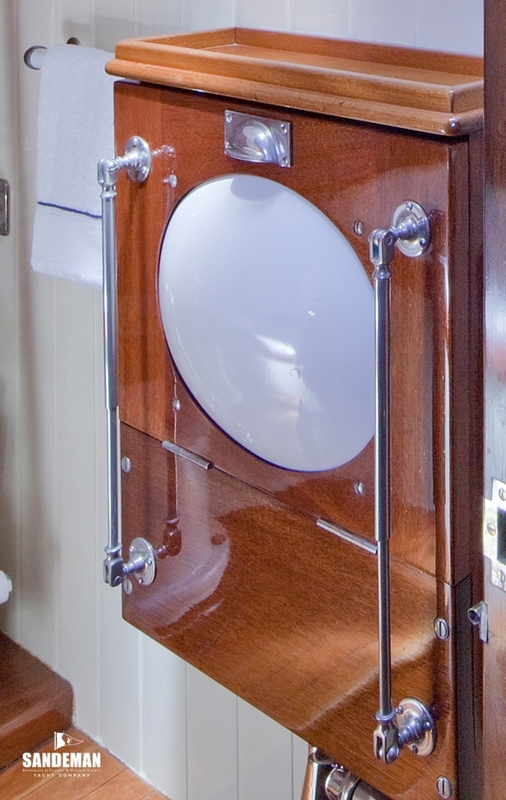 The original Blake WC has been beautifully preserved, but while appearing to be manual, it is actually electrically operated. 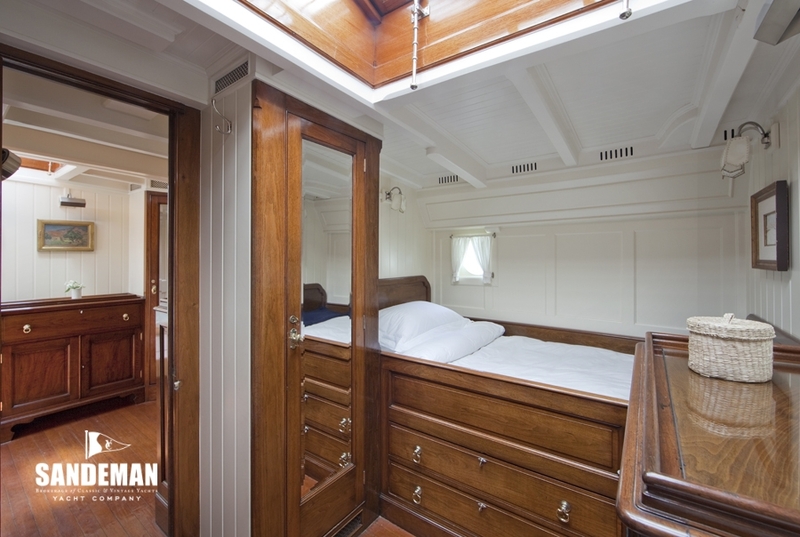 From the spacious deck house – over the engine room, companionway steps descend to a corridor from which the principal accommodation is accessed. 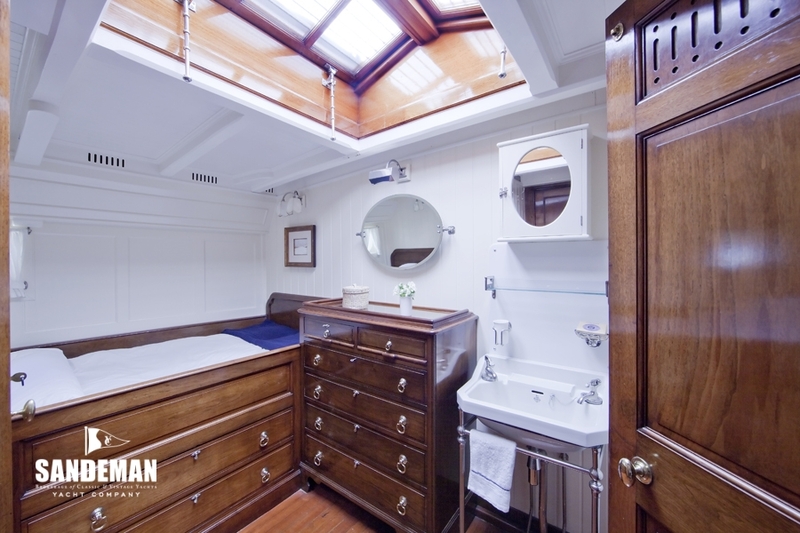 Immediately to each side are single berth guest cabins, both attractively laid out. 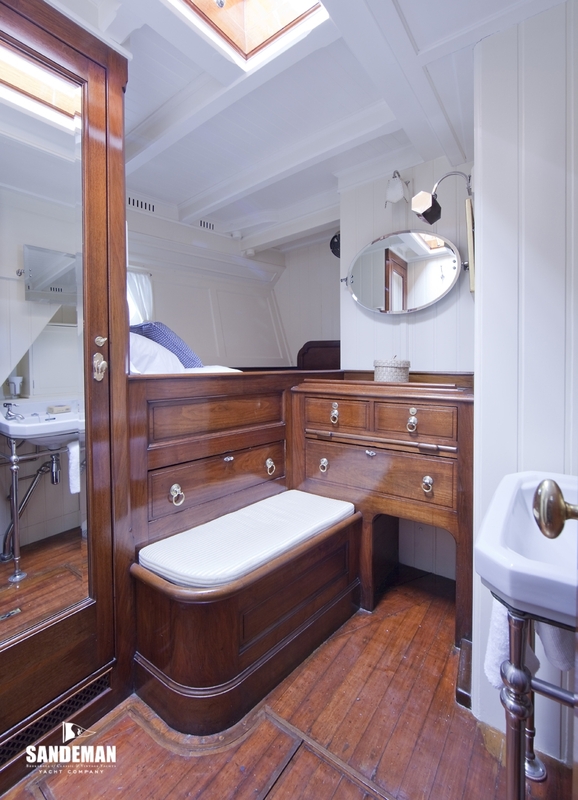 Next forward to port is the owner’s bathroom with WC, large bath and drop down wash basin. 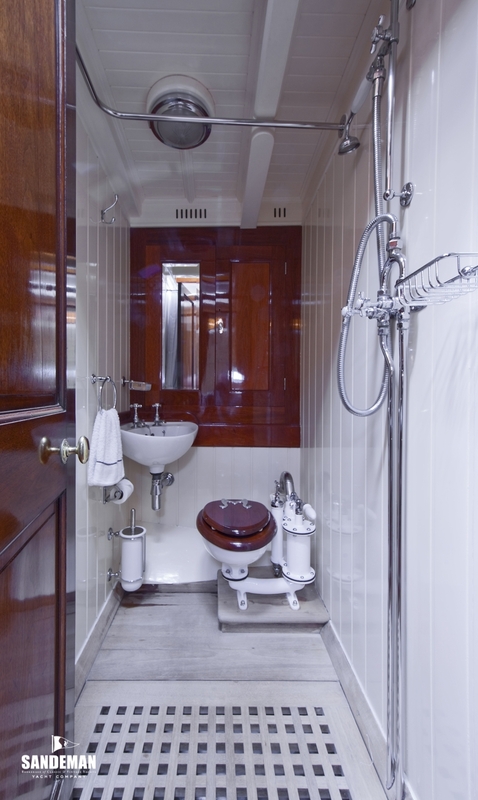 Opposite across the corridor is a shower room, easily reached from the guest cabins. 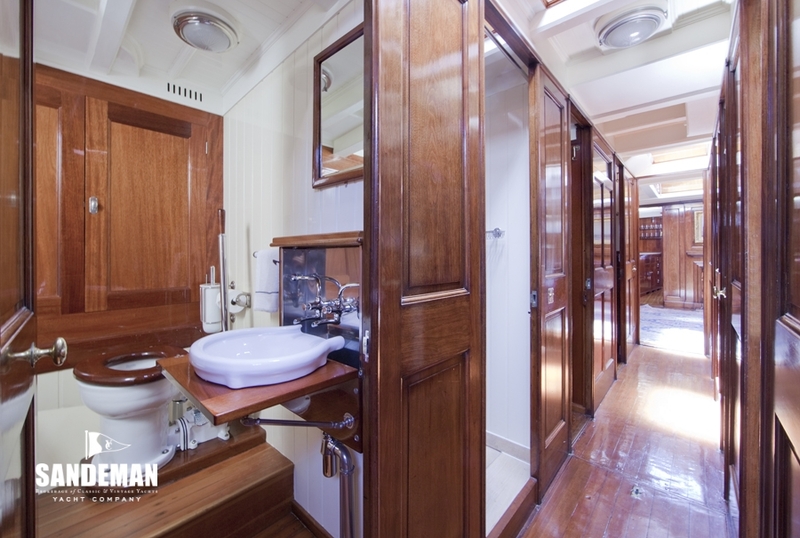 Again to port is a day head compartment and then the navigation and chart space with a guest stateroom with generous long single berth, washbasin and furniture. 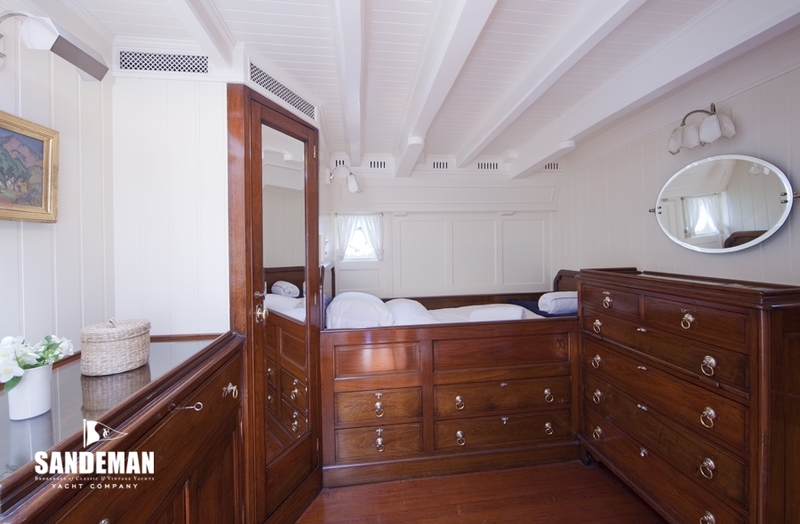 Forward of the shower to starboard are two guest staterooms, one of which is a double and each fully furnished, also with washbasins. 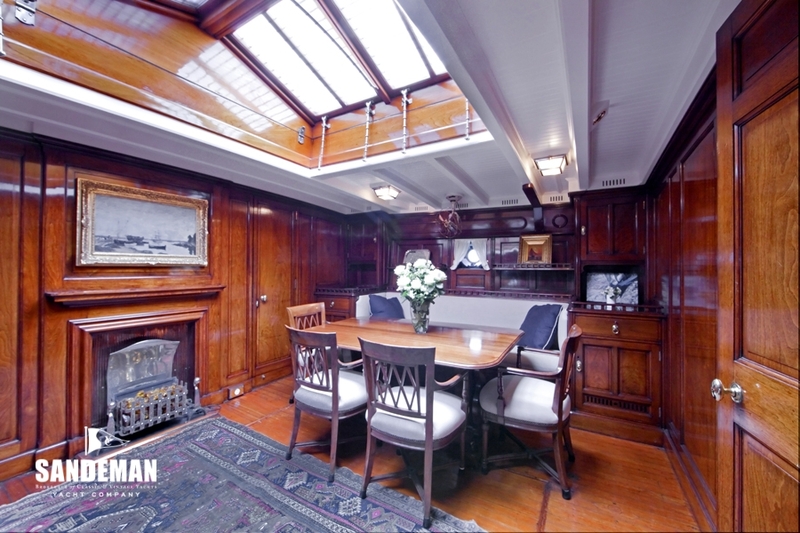 The doorway forward opens to the main saloon; panelled and magnificently furnished with seating both sides, generous cabinets and to starboard the dining table. 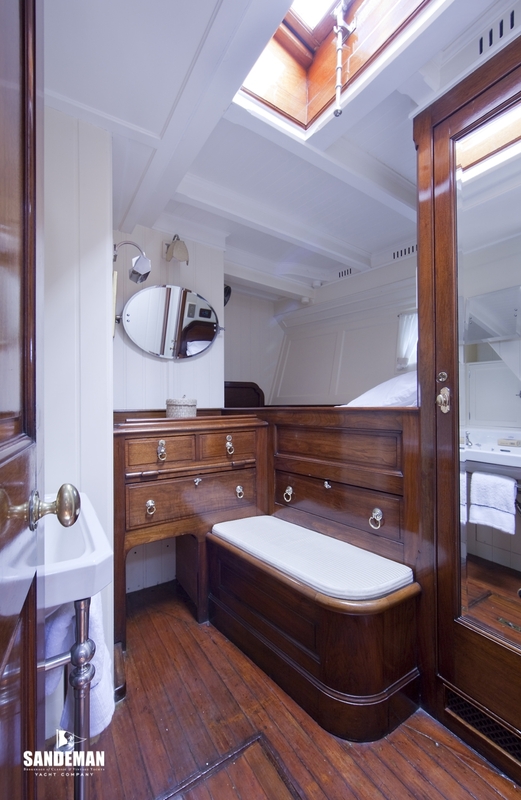 A further doorway accesses the galley forward to port and the skipper’s cabin to starboard with en suite head and shower compartment, also accessible to the crew main quarters in the fore cabin with drop down pipe cot berths forward. 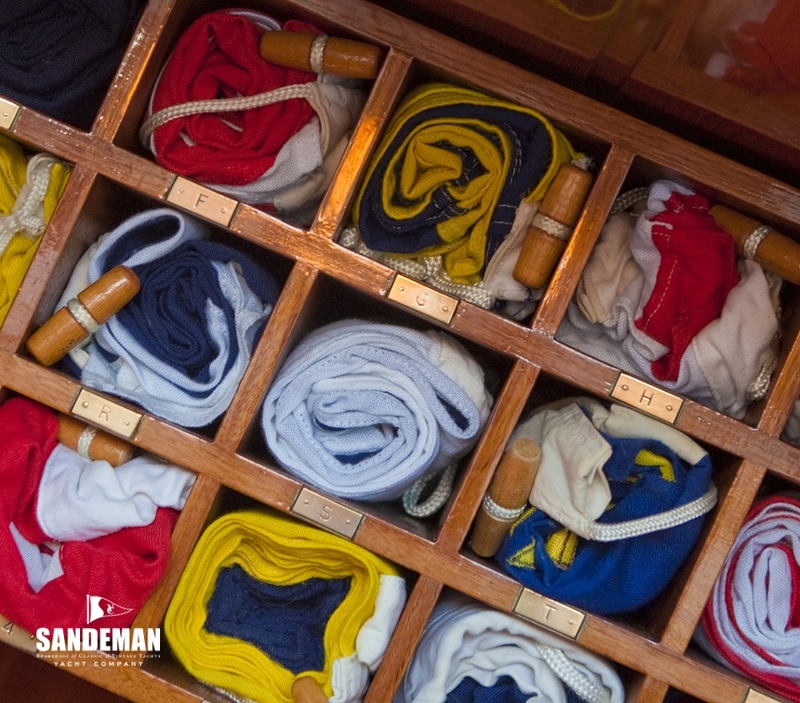 All the crew quarters are effectively separated from the guest accommodation by separate access via the foredeck .